X-ray showing broken clavicle; image by Harlie Raethel, via unsplash.com. Personal injury caused by someone else results not only in physical and psychological damage, but can take a toll on the victim’s finances. That’s why finding the right personal injury lawyer is crucial. It’s difficult to imagine that anything positive can come from suffering a personal injury that was in no way at all your fault, but at least securing some damages to help you deal with the financial, medical, social and psychological consequences can go some way to easing the problems. Choosing to hire a personal injury lawyer to pursue your case for compensation is pretty standard practice when there is adequate evidence of liability on the part of someone else, and rightly so as the consequences of personal injuries can be devastating. It’s not unusual for people to face huge medical bills, lost wages or even their job, need long term medical care, or struggle to maintain relationships, all as a result of being hurt tough no fault of their own. 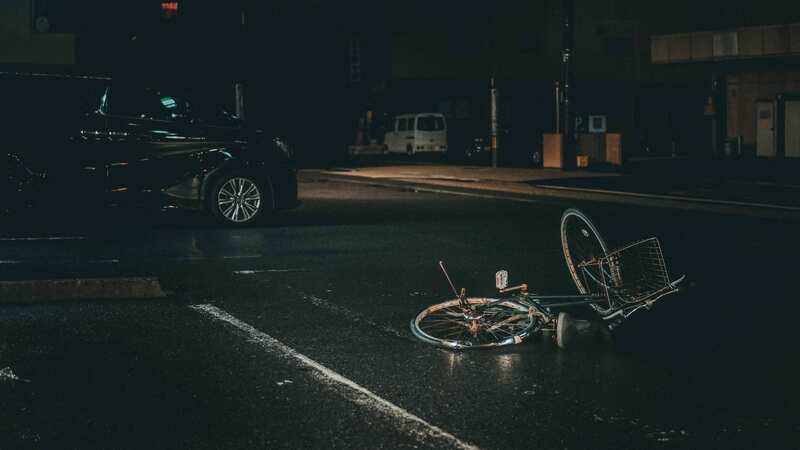 Bicycle in the middle of the street at night with black van nearby; image by Ian Valerio, via Unsplash.com. It is not realistic for an untrained person to bring a case against the companies responsible, but a good personal injury lawyer is more than capable of taking them on, and winning. So yes, you need a lawyer, and ideally a top rated one. So here’s how to find them. Avoid ads, or any legal firm which sends you letters following a stay in hospital – ask for recommendations instead, or look online for well-reviewed lawyers. Never sign up to anything before you meet the lawyer who will represent you. You should feel comfortable with them, and confident they will do their best for you. Look at their track record, which should be largely made up of success stories. Pay particular attention to the sum of compensation that as secured for each case. Higher than average figures are a sign of a top lawyer; while lots of low-end settlements suggest they don’t try too hard. Check a lawyer has actual court experience, in case you cannot reach an out of court settlement. If you have a few names of potential lawyers look at their peer reviews on a site like The Martindale-Hubbell Bar Registry, which features over one million lawyers, nationwide. Check a law firm’s policy on who covers the ‘expenses’ [costs] involved in bringing an injury case to court. These expenses cover things like the fee charged by experts who will be witnesses, and the costs associated with retrieving medical records. In some cases these expenses can be quite substantial, and companies deal with them in different ways. Some ask the client to pay a sum upfront to help with them (avoid), some will add them to the contingency fee charged if you win damages, and if you lose some will write them off while others may expect the client to cover them (avoid these too). A top lawyer will be confident enough about a win to shoulder the costs. For more help in finding a reliable lawyer to help you with your accident head over to Dore Law. Having built and worked within many online businesses in different niches over the years - including e-commerce, affiliate marketing & gambling - G. Wilson has gathered a lot of knowledge of the laws that encompass them. In order to help others in similar positions stay on the right side of the law, he shares his experiences and what he's learned on blog articles.